Cool down or heat up your home! 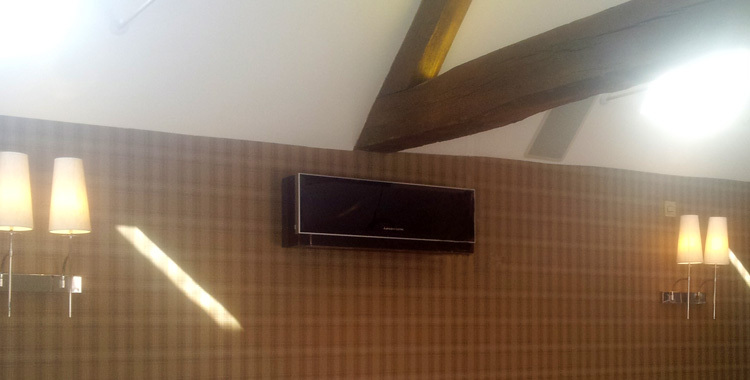 Air conditioning is increasingly becoming a part of our lives, why not bring comfort to your own home? Whether you want comfortable conditions to sleep in or to use your conservatory all year round, RJD can provide a solution for you. An air conditioning heat pump is energy efficient and cost effective. You can control your climate all year round, cooling in summer & heating in winter. With state of the art design, modern air conditioners are compact and stylish, and will enhance the comfort of your home.